Mary Oliver is a gift to the world. I’ve learned many things from America’s most beloved poet, with honoring one’s creative impulse being the most important, followed by: pay attention. She has shown us, through her poetry and essays, how to do both of these across the span of a long and fruitful life. She won the Pulitzer Prize for her poetry collection, American Primitive, and the National Book Award for New and Selected Poems. Her latest collection of essays, Upstream, (which contains both new and older work) is a look back at a life well lived, steeped in nature and literature. It has been on the New York Times Bestseller Nonfiction List for many weeks. Oliver writes of the preoccupations and obsessions of the poets and thinkers that most influenced her, including Walt Whitman, William Wordsworth, Ralph Waldo Emerson, Edgar Allen Poe, and Percy Bysshe Shelley. You don’t have to like poetry to appreciate what she has to say about these fascinating writers. I like those essays, but I love the more personal essays taken from daily life, my favorites being “Bird” and “Building the House.” I say personal, but Mary Oliver often shines a light on some miracle of nature – a wounded gull, or a female spider, or black bear – in a way that tells us much about her own life and her deepest beliefs. Upstream is a beautiful little book for ringing out 2016, welcoming 2017, and reading on a cold winter’s night. We’ve had this little birchbark canoe for many years. A favorite house in our village, vintage upstate New York. that the river burned and was not consumed. I’ve been writing about the town where I grew up, how you can’t go home again and all that, and about my fraught relationship with Cleveland. This kind of ambivalence permeates Rust Belt Chic: The Cleveland Anthology, (published by the editors of the online magazine Belt) which I’ve been reading in between novels and book-length nonfiction. But all is not bleak – the collection includes a good share of essays by writers who unabashedly love Cleveland. The writing is excellent, the social commentary and history fascinating. My childhood home just outside of Cleveland shared a driveway with our floral shop, where the locals bought their wedding and funeral flowers, Easter corsages and prom nosegays. We earned a good living in that small shop. Those were prosperous times. I remember boarding a passenger ship docked on the dowtown shores of Lake Erie with my mother, some time in the late 1950s. We were going to visit my aunt, who lived in Michigan on the Detroit River, across from a mighty steel mill. This was no mere ferry we travelled on, but a big old steel ship; my memory of this seems outlandish to me now but, based on my cursory research, I presume we travelled on the SS Aquarama, a World War II troop carrier that was converted to a passenger ship after the war. I loved going to my aunt’s house, where barges as big as factories floated past the backyard every day. Back then, Detroit and Cleveland were first-tier cities. Today, Detroit is ranked first in the United States for poverty, and Cleveland is second. As an adult, I moved to New York City, but eventually I settled and raised a family in another Rust Belt city on a lake (probably no coincidence). In Rochester, New York I worked for Kodak, for a time, but now the company is a shell of its former self. Rochester is ranked third in the US for poverty. In 2008, my Ohio hometown was the epicenter of the mortgage crisis and still has not recovered. It has essentially become an extension of the blight that is East Cleveland. Homes have sold for as little as $1000 there. Other houses have been abandoned and stripped of their copper plumbing and aluminum siding. Many have been demolished. Sometimes, I think about what it would be like to move back to Cleveland. I could host a book club for schoolchildren in the old flower shop. It would be a safe haven from the drugs in the vacant lot next door, the guns, the crime. We’d read poetry by Mary Oliver, who is from my hometown, and the novels of Toni Morrison, who is from Lorain. I’d give each child a book to take home. But, of course, my life has long been elsewhere and I won’t move back. You can’t go home again and, besides, our house and the shop are (finally) about to be sold (fingers crossed). Both optimists and pessimists write about Cleveland in this Rust Belt Chic anthology. 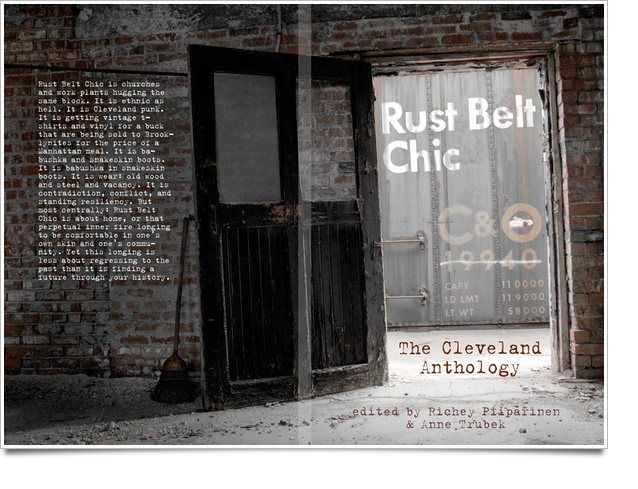 (Rust Belt Chic anthologies of Detroit and Cincinnati have been published as well. Additional volumes are in the planning stages.) When it comes down to it, I’m essentially an optimist, because I don’t think things can get much worse, and I see a commitment to community and volunteerism among young people who choose to stay or settle in Rust Belt cities. But I’m sad and bitter, too, when I think about what my childhood home has become. I feel shame, too, but I don’t mean I’m ashamed of where I’m from. I’m proud to be from Cleveland. Rather, I feel shame in the sense that we could have and should have done better in terms of taking care of our communities and each other. “I want to laugh when I hear that people are moving to Cleveland to practice their art. Then I want to spit in their faces….The first sign of the coming apocalypse is the art walk: the Typhoid Marys of gentrification. Developers show up, displaying all the sensitive charm of a multinational corporation…. Note: The title for this post was inspired by a photograph on NewGeography.com. 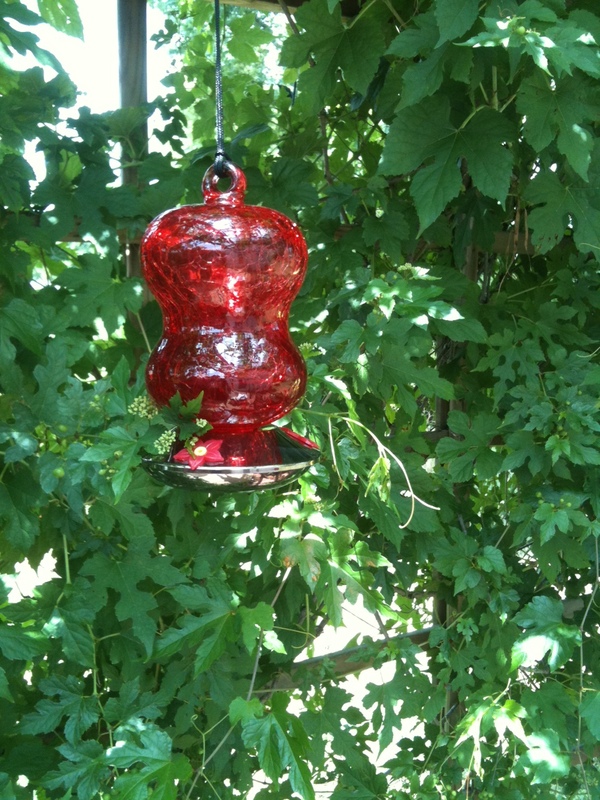 A moment of pleasure: Sitting under the pergola at my brother’s house outside of Cleveland. Taking in the Cleveland-ness of being here. I can’t really explain this. Something in the air has a distinctive quality, maybe the humidity and the heat of Ohio, and it takes me back to summers growing up here: listening to the Beatles on my transistor radio (WIXY 1260), swimming with my friend, Nena, at Stafford Park, play-by-play of the Indians’ baseball game always in the background…. In meditation class this week, our teacher read Wild Geese by Mary Oliver, who is from my hometown. Tonight I attended the first of five mindfulness-based stress reduction classes, which include instruction in meditation. Four years ago, I took a similar series of classes; this summer I hope to renew and re-commit to my meditation practice. We followed our breath for several minutes. We ate a raisin, mindfully. We practiced the body scan (progressive relaxation of each part of the body, preferably while lying down.) I thought I was totally relaxed, lying on my yoga mat on the hardwood floor. But when our instructor read Mary Oliver’s poem, “The Summer Day,” I found myself lying in a field of grass, giving myself up to it as if I were a kid. 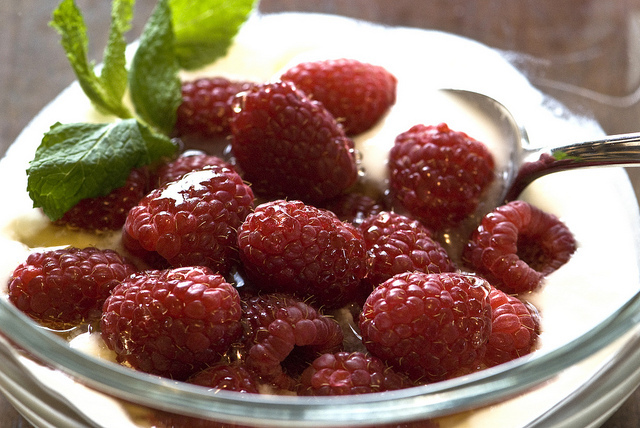 When I came home from class, my son had just arrived with fresh-picked raspberries. I ate some with whipped cream. Mindfully, of course. 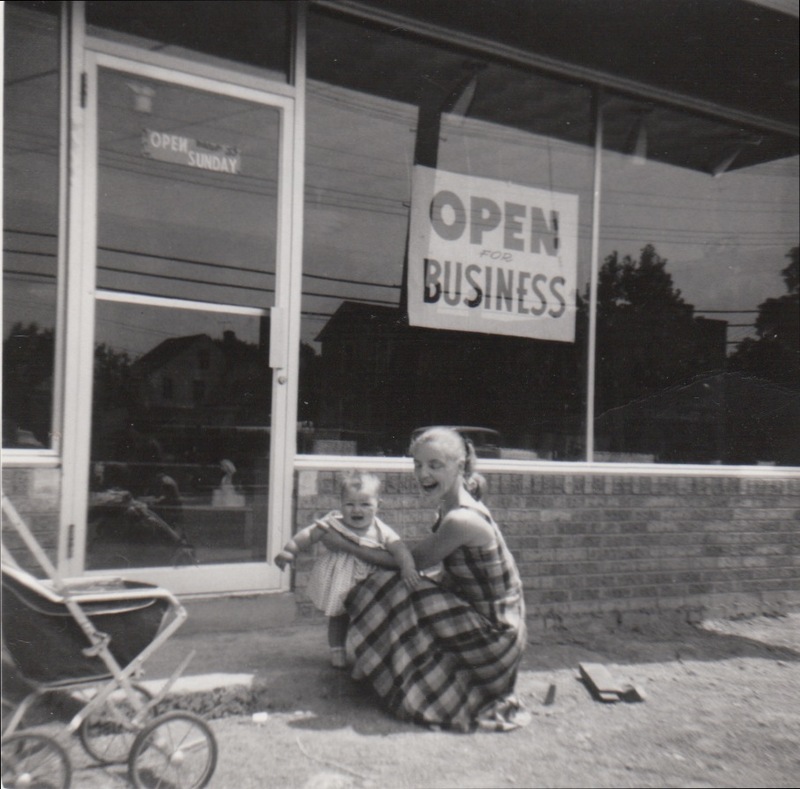 In my hometown near Cleveland, there once was a girl who liked to play hooky from school. She’d walk in the woods and read poetry. Back then, my town still had a rural flavor, with creeks, farmland, and forest where neighborhood kids could play for hours. Poetry and nature were the two things in the world the girl loved most. When she was seventeen, she got in her car and drove to the home of Edna St. Vincent Millay in upstate New York. The poet had died, but her sister, Norma, lived there. The girl stayed for a time, writing poetry and helping Norma organize Millay’s papers and manuscripts. Years later, when she won the Pulitzer Prize for poetry in the 1980s, I didn’t pay much attention, even though I’d been an English major in college. I was working in New York City and had left my poetry reading days behind. 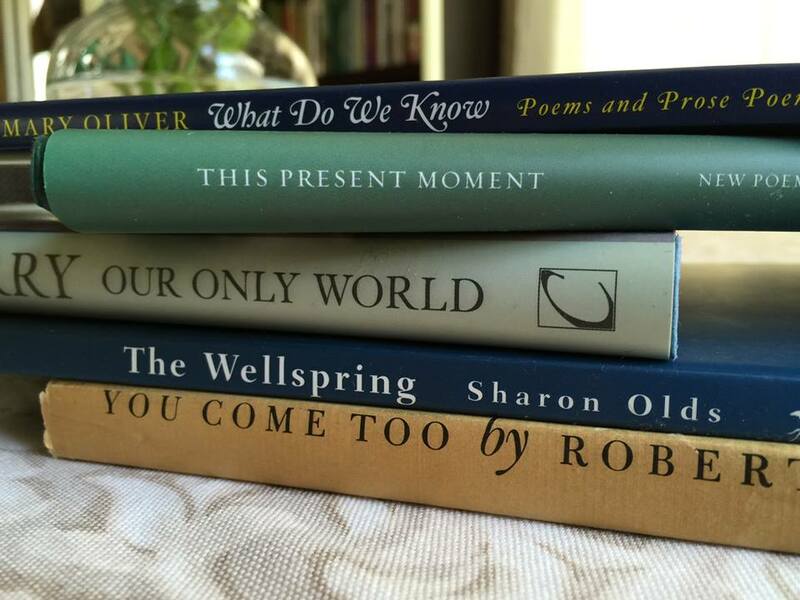 It wasn’t until I was in my forties and beginning to do some of my own writing that I thought I’d take a closer look at Mary Oliver, that girl from my hometown, to see what she was all about. I hadn’t expected to be stunned. I mean, really. Why had I never read her poetry before? I could describe Mary’s poetry with words like “powerful” and “transcendent” and “life-changing,” but I wouldn’t do her poems justice. Let’s just say it was exactly the right time for Mary Oliver’s poems to enter my life. A lot of it had to do with my novice efforts as a creative writer and with believing in myself. Mary Oliver grew up in a house just around the corner from where I did, though she left home around the time I was born. Our hometown went through especially hard times around 2008. A Cleveland neighborhood nearby was called ground zero in the mortgage disaster. Some homes were abandoned, some torn down; wildflowers and weeds took over what used to be carefully tended lawns. Much of the wooded areas are now gone, but occasionally people spot deer, usually at dusk. The town has held its own, though; the people who live there have great spirit. When I go back home to visit, sometimes I think of a girl skipping school, sitting cross-legged under a big, friendly tree in the once nearby woods, reading. New and Selected Poems, by Mary Oliver, published in 1992, includes poems from 1963 – 1991.